In automation, data acquisition plays an important role: it provides useful measurement values for process regulation and optimisation. 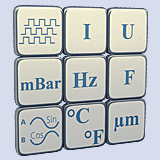 For this, the physical values like temperature, pressure, position or switching states must be acquired and, if necessary, converted to digital signals. Only then can they be processed, evaluated and used for control and regulation tasks. As an expert in the field of data acquisition and control, ADDI-DATA offers a wide range of measurement electronics especially developed for data acquisition in a harsh industrial environment. 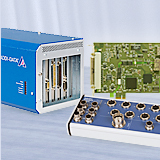 Why choose ADDI-DATA solutions for measurement data acquisition? 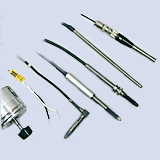 From the beginning in 1984, ADDI-DATA specialised in sensor data acquisition in harsh conditions. Thus our data acquisition cards and Ethernet data acquisition systems provide precise values in spite of usual disturbances such as current peaks. Numerous protective circuits and clever product designs are the basis for these high standards.